I actually kind of messed these up. These were the winners of the cupcake category for the Vegan Bake-Off in which I participated back in February (Runner-Up for Donuts and Pastries category with my Vegan Lemon Donuts). I had these cupcakes and they blew my mind! They were fluffy. Chewy. Sticky. Coconutty. AND VEGAN. So when the Toronto Vegetarian Association released a PDF of the cookbook of some recipes from the bake off to TVA members and participants, I KNEW I had to make myself a batch. I think I messed up because I should have made it in an 8×8 pan. That way I would have avoided the hassle of individually icing each cupcake, then broiling, then prying the cupcakes out of the pan. But man. These. Are. Delicious. The top layer is broiled and it literally takes the cake to a whole new level. The cake itself is so great and fluffy, and the top layer has some chewy, crunchy coconut shreds and GAW. It’s amazing. The Antique Appetite is a genius and deserved to win that category 100%. and the flax meal makes me feel like I’m helping my digestive system even though I’m eating a fist-full of sugar. But that fact that these cupcakes are vegan also make me feel happy about my life choices. Give these a try. You will not regret it. Mix together flax meal and warm water and let sit for 2-3 minutes until it has thickened. Add the coconut oil, almond milk, and sugar. Mix until incorporated. Divide the batter among lined cupcake pans (either 24 mini-cupcakes or 12 regular sized cupcakes). While it's baking, prepare the top layer by beating the Earth Balance and brown sugar together until incorporated. Add almond milk and coconut and beat until fluffy. Spread over the cupcakes/cake and broil until the coconut is golden and the top is bubbling. Remove from oven, let cool on a wire rack (if you made them into cupcakes, remove and make sure you put some paper towel under them because it'll get a little oily. These cupcakes look extremely good! Yay for your first giveaway!!!! Thank you so much for joining in Lisa!!!!! PS I swear that I already liked you on FB and they just deleted my like. Lisa @ Wine & Glue recently posted...$250 Amazon Gift Card Birthday Giveaway! I'm dreaming to have a KitchenAid standmixer for almost a lifetime - so that's what I would buy from Amazon; but a Lodge Logic preseasoned skillet would also be glorious to have! Ooooo a cast-iron skillet. Good call. 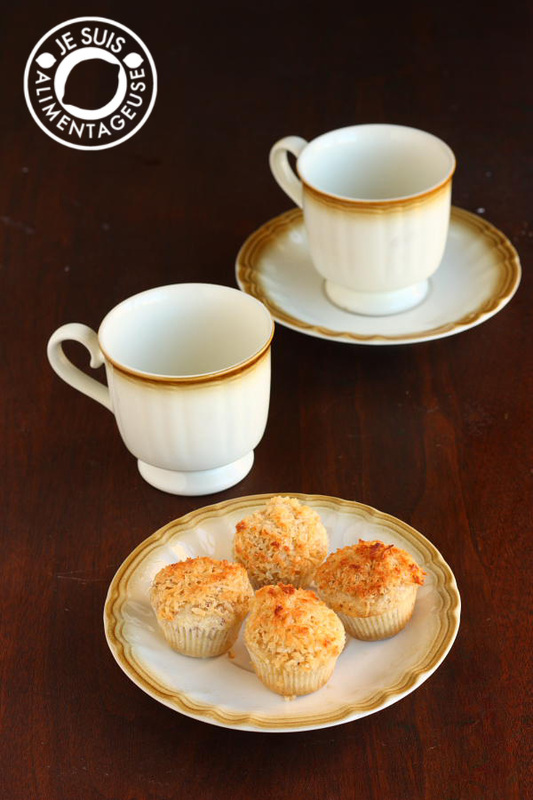 Coconut brulee cupcakes?! Come now, that is crazy awesome! I second Yvonne's cast-iron skillet idea. I must say I have been yearning for a green apple artisan stand mixer for a while too. Also, I must say It's nice to finally be able to enter a blog giveaway. Thanks Lisas! Aw what a lovely gift idea =) Say, does her kitchenaid mixer still work? There's nothing like a sturdy and reliable appliance to hand down to your kids haha. My boyfriends mom had her (Sunbeam?) stand mixer for 20 years and still misses it because it finally broke down.